Leaders from the Horn of Africa have pledged to work together to spearhead integration between their countries. Leaders from Ethiopia, Somalia and Eritrea held a two day meeting in the northern Ethiopia city of Bahir Dar, in a bid to solidify relations. 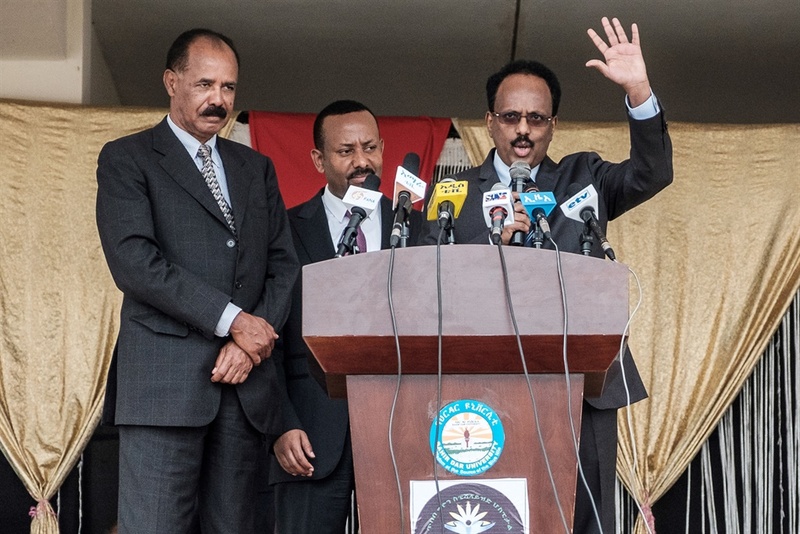 In a press statement, Ethiopian Prime Minister Abiy Ahmed, Eritrean President Isaias Afwerki and Somali President Mohamed Abdullahi Mohamed, said they would work towards the historic transformation of the Horn of Africa region towards peace and integration. “The three leaders reviewed developments and achievements since the signing of Asmara joint declaration on friendship and comprehensive cooperation in September and noted with satisfaction the tangible and positive outcomes already registered and agreed to consolidate their mutual solidarity and support in addressing challenges that they face individually and collectively,” said the joint statement. Eritrea has been subjected to a UN arms embargo since 2009, after UN experts accused Eritrea of providing political, financial and logistical support to armed groups opposing the central government in Somalia. Eritrea has denied the accusations. The meeting of the three leaders comes amidst wide-spread optimism in the Horn of Africa region that it would move from a chronically unstable region to one of political cooperation and economic integration. “The three leaders also welcomed the impending lifting of all sanctions against Eritrea and underscored their conviction the lifting of the sanctions would reaffirm their commitment to an inclusive regional peace and cooperation,” reads part of the statement.